For years, I have tried to comprehend the difference between prose and poetry. Textbooks and Google searches reiterate much of what every reader instinctively knows: prose is continuous text while poetry is split into individual lines, prose tends towards the factual while poetry is characteristically embellished with elements of style, poetry has a sense of underlying rhythm which is absent in prose, poetry focuses on the moment while prose spans time and space and so on. Somewhere it is even mentioned that prose is communication, while poetry is art. Nevertheless, prose can be written as beautifully, can focus on any point in time and can be as rhythmic, and as much of an art form as a poem. While poetry can as easily convey facts, tell stories and do almost everything as well as prose. What is it then, that distinguishes the two, and when does a piece of writing get defined as a prose poem ? As an eclectic reader of prose and a longtime lover of poetry, to me what makes poetry stand out from prose is the immediate intimacy in the lines of a poem that generates a surge of energy that carries the reader into the poet’s mind, through a series of images both strange and familiar that the reader sees through the poet’s eyes, images that are brought into life by the poet’s words that thereafter become part of the reader’s life. While reading by itself is an intimate, personal experience, reading poetry is perhaps the most intimate experience that can occur between the reader and the writer as their thoughts merge between the lines. The words of a poem, whether they are free or structured in rhyme and meter, whether they are stark and clean or adorned with words constructed with the many tools of the poet’s trade, speak the truth of the poet’s heart. The prose poem too, clasps the reader gently within its lines as it brings the reader to fleeting moments from the poet’s mind. The Red Wheelbarrow by William Carlos Williams suggests countless possible stories behind the vivid image that it evokes. Carlos Williams muses on the nature of prose and poetry in the lines following the above poem, ‘Is what I have written prose? The only answer is that form in prose ends with the end of that which is being communicated’, further saying that ‘the purpose of prose is clarity to enlighten the understanding’ while ‘poetry has to do with the crystallization of the imagination’. Drawing upon this prose poems then, are conversations by the poet addressed to the reader, communicating ideas, thoughts, and stories using images embedded within flowing words. It is perhaps why the ancient epics were often written in this form, combining the fluid beauty of verse with the factual strength of prose. Also, the intrinsic rhythm of prose poems might have rendered itself naturally to the orally transmitted literature of yore. The Pillow Book of Sei Shōnagon might not have had the same effect on the reader had these words been expressed in prose or pure poetry. In spring it is the dawn – with these words Shōnagon waves an elegant hand, inviting the reader to sit by her side and listen to her musings on nature, people and life, offering a window through her eyes into courtly Japan of the fifteenth century. In the Tamil epic Silappadikaram by Ilango Adigal, the heroine Kannagi stands on the streets of Madurai, lamenting her dead husband who was unjustly convicted by the Pandya King for theft. The intensity of emotions in this short excerpt would be too straightforward in prose, too diluted in metric poetry. 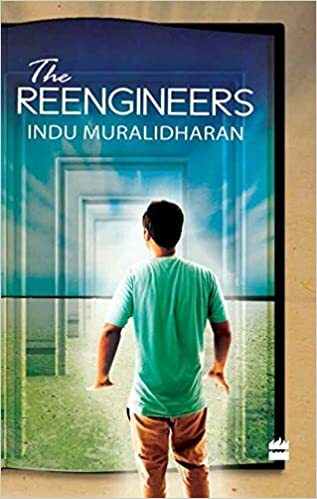 As a prose poem, it tells the story with just the right amount of pathos and sentiment even as it transports the readers to the setting of ancient Madurai. The prose poem allows feelings to be expressed evocatively and yet without the excess sentiment that might have crept in between the lines of a poem. In Refuse / Refused, Sarukkai Chhabria imagines the feelings of old widows who were abandoned by their families thus, ‘I walk now as refuse that has refused the world. In this rustling I will make my home, become rustling, a torn plastic bag. For trash is the renouncer’s last desire, the last touch of homeland…’. In the prose poem novel Aurora Leigh by Elizabeth Browning, Aurora’s need to find self-actualisation as a writer is equally intense as her cousin Romney’s aspirations to uplift the underprivileged and change the world. Her journey after she rejects Romney and pursues her calling in art, her limited brush with fame, her disillusionment on not being able to produce great intellectual work and her Voltarian realisation that in the end, all of us need to cultivate our garden – all of this would have worked as a prose novel but the blank verse lifts the narrative and thereby reader’s experience into a different level. These lines from the fast-paced literary novel may be equally categorized as prose or inspired verse, or prose poetry that marks the transition of sentences grouped into paragraphs to interlinked lines that flow in rhythm. Poetry has often been called the purest form of writing, and it is said that poets make some of the best writers of all. Prose poetry blends the best of both forms – a story narrated in a reverie, a moment frozen in time, a visual of life described in images that carry the reader on their lines through time and space. A reader who walks on the firm grounds of prose and soars on the wings that only verse can give, floats through the streams of prose poems, each of these journeys equally capable of inundating the reader with the pleasure that only words can give. Five acts to make a play. And why not fifteen? Why not ten? or seven? Whatever be the form that the creation may take, all that a writer needs to do is to keep the fires of inspiration burning, leaving the flames to shape themselves.